A Patient-centered program for a range of neurologic disorders. 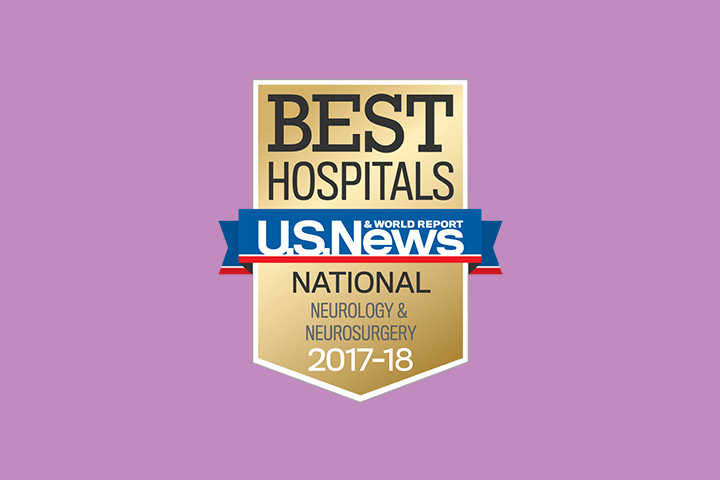 Our Pediatric Neurology Department at the Joseph M. Sanzari Children’s Hospital is a comprehensive, family-centered program that provides diagnosis and treatment for a range of neurologic disorders for patients from birth through their 22nd birthday. For children with epilepsy, we offer assessment, evaluation, and treatment—including an advanced inpatient video EEG monitoring unit, routine and ambulatory EEG testing, and a multimodal treatment approach. Our concussion program offers care for children suffering from mild traumatic brain injury due to sports injuries or accidents. We provide training and diagnostic support and frequently work together with the individual child’s pediatrician and school to ensure a safe and timely return to school and sports activities. Conditions that affect the brain or nervous system can be complicated and difficult to treat. We are with you every step of the way, answering questions and making sure that you understand what is happening. Our Pediatric Neuro-Oncology Program has made this advanced level of care available to children with brain and spinal cord tumors in New Jersey. We provide evaluations and treatments for children, adults and older adults.